Danish architect and urban designer Jan Gehl, a man on a mission to make Sydney a walking and cycling-friendly destination, has been awarded the key to the city. Gehl’s ideas have been driving the City of Sydney’s plans to ‘pedestrianise’ George Street, bring inner-city laneways to life, and create a greener, more liveable and better connected city as part of the Sustainable Sydney 2030 initiative. Gehl becomes the second Dane to be awarded the key to the City of Sydney, with Sydney Opera House architect Jørn Utzon receiving the honour in 1998. Recommendations made in Gehl’s 2007 study of Sydney’s public domain, Public Spaces Public Life, have been implemented by the City including the construction of a light rail system through the city centre and the upgrade of 20 laneways. Lord Mayor Clover Moore acknowledged the role of the reputed architect and urbanist in helping Sydney cement its place as one of the world’s great cities. The City has been working with Gehl and his team for more than a decade to provide solutions for Sydney’s streets and public spaces. 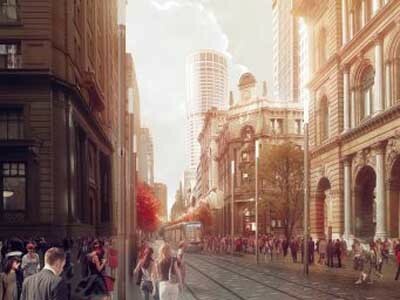 Gehl’s recommendations ranging from simple initiatives that make the streets more liveable, such as upgrading street furniture and planting more trees, to major projects currently underway, including the transformation of George Street and laneways throughout the city centre are being implemented. Presenting a symbolic key to the city is the highest honour a city can give to an individual or organisation. It recognises the recipient’s contribution to furthering the ideals of a city or an outstanding achievement at an international level. Gehl is in illustrious company with the key to the City of Sydney having been previously awarded to Nelson Mandela (1990), Dame Joan Sutherland (1991), Juan Antonio Samaranch (2000), Aung San Suu Kyi (2003), John Bell AO (2015), and various Australian Olympic, Paralympic and other sporting teams and personalities. Gehl is the founder of Gehl Architects, an influential Danish architecture and urban design firm that has worked on major city improvement projects in several global cities including Copenhagen, New York, London, Moscow, Shanghai and Amman. A retired Professor of Urban Design in the School of Architecture at the Royal Danish Academy of Fine Arts, he has also taught at universities throughout Europe, Canada, South Africa, Indonesia, Central America and Australia. Gehl is an honorary fellow of architectural institutes in seven countries, has been honoured with numerous national and international architectural, planning and urban design awards, and has published several books in multiple languages. Being awarded a city’s key is, however, a first for the renowned architect. Commenting about his role in the city’s planning, he observed that Sydney had, for too long, put cars ahead of people. Together, Gehl Architects and the city council under Lord Mayor Clover Moore developed a plan to unlock Sydney’s outstanding potential by making it a city for people, with walkable streets, great public spaces and a vibrant, green heart. The City continues to embrace Gehl’s vision with new developments including the pedestrianised George Street under construction, a thriving laneway culture, and more trees, parks and open spaces than ever before.